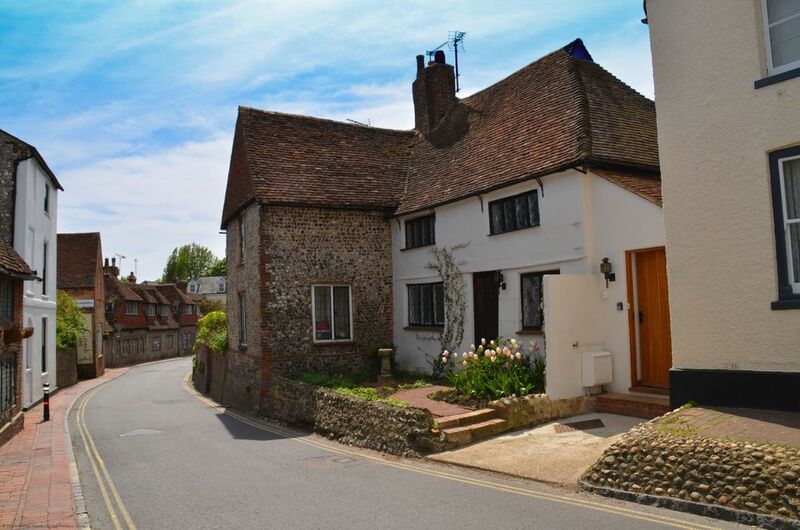 Lavender Cottage is a fabulously restored Tudor cottage in the heart of Alfriston with spacious accomodation perfect for walkers looking to explore the local trails or families who want a base to enjoy all of the local attractions. The lounge is a wonderful, comfortable space with an inglenook fireplace and an open wood fire at the centre perfect for a cosy evening after walking the South Downs Way. There is a second lounge available in the garden room at the rear of the cottage with direct access onto the patio area in the garden.The kitchen is modern and fully fitted with an oven, hob, dishwasher, microwave, fridge and freezer and leads directly to the dining area and from here is a boot room which houses the useful washing machine. Also on the ground floor is a bathroom with a full bath and overhead shower, wc, basin and heated towel rail. On the first floor are two double bedrooms and a bathroom with a large walk in shower, wc, basin and heated towel rail. There is a garden bench at the top of the south west facing garden and is a lovely spot to enjoy your morning coffee! Lavender Cottage has a unique history as Luciano Pavarotti stayed at the cottage during July and August 1964, while performing the role of Idamente in Mozart's opera Idameneo at nearby Glyndebourne and you can see why he would have loved this delightful property! A charge of £25.00 per stay or per week, whichever is shorter, will be made for each dog (guide dogs for the blind and registered assistance dogs excepted). Please let us know if you will be bringing a dog with you. This property will accept a maximum of one dog. Lavender Cottage provides an ideal base from which to explore this popular part of Sussex with a pathway directly opposite which leads to the South Downs Way and the Cuckmere River. The village hosts many events throughout the year including the Alfriston festival and Farmers markets. There is a wonderful choice of pubs and cafes in Alfriston with plenty of variety to enjoy during your stay; ideal if you are looking to avoid doing any cooking on your holiday. Award winning Drusillas Park is 1.5 miles from Lavender Cottage. A great family day out that includes a small zoo where you can come face to face with hundreds of exotic animals from monkeys and meerkats to penguins and pandas. There are also a multitude of rides and experiences to keep the little ones entertained including Hello Kitty and Thomas the Tank Engine rides and the Eden's Eye Maze. Other places to visit close by are Seven Sisters Country Park, and Eastbourne events such as the International Tennis Tournament and the Airborne Festival.